The Global Asset Purchase Deals in Pharma, Biotech and Diagnostics 2014-2019 report provides a detailed understanding and analysis of how and why companies enter business, product, technology and royalty asset purchase deals. The Global Asset Purchase Deals in Pharma, Biotech and Diagnostics 2014-2019 report provides a detailed understanding and analysis of how and why companies enter business, product, technology and royalty assets. The report provides a detailed understanding and analysis of how and why companies enter business, product, technology and royalty assets. The focus of the report is on partnerships for business, product, technology and royalty assets where partners have entered an agreement to dispose of or acquire said assets. Companies may seek to dispose of an asset simply because it is surplus to requirements. Or it may seek to dispose of assets in order to raise funds to invest in others parts of its business. Or it may be due to a regulatory requirement to dispose of certain business or product assets as a result of a pending business merger in order to meet competition regulations. The report provides access to asset purchase deal payment terms as announced between the parties. This data provides useful insight into the payment and other deal terms. 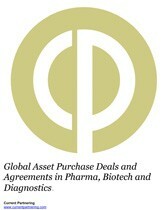 This report contains a comprehensive listing of over 950 asset purchase deals announced since 2014 as recorded in the Current Agreements deals and alliances database, including financial terms where available, plus links to online copies of actual asset purchase contract documents as submitted to the Securities Exchange Commission by companies and their partners. The initial chapters of this report provide an orientation of Asset Purchase dealmaking and business activities. Chapter 1 provides an introduction to the report, whilst chapter 2 provides an overview and analysis of the trends in Asset Purchase as well as a discussion on the merits of the type of deal. Chapter 3 provides an overview of the structure of Asset Purchase deals. The chapter includes numerous case studies to enable understanding of both pure Asset Purchase deals and multicomponent deals where Asset Purchase forms a part. Chapter 4 provides a review of the leading Asset Purchase deals since 2014. Deals are listed by headline value. Where the deal has an agreement contract published at the SEC a link provides online access to the contract via the Current Agreements deals and alliances database. Chapter 5 provides a comprehensive listing of the top 25 most active Asset Purchase dealmaker companies. Each deal title links via Current Agreements deals and alliances database to an online version of the full deal record, and where available, the actual contract document, providing easy access to each deal record on demand. Chapter 6 provides a comprehensive and detailed review of Asset Purchase deals organized by company A-Z, therapy, technology and industry type signed and announced since 2014 where a contract document is available. Contract documents provide an indepth insight into the actual deal terms agreed between the parties with respect to the Asset Purchase deal. The appendices to the report includes a comprehensive listing of all Asset Purchase deals announced since 2014. Each listing is organized as an appendix by company A-Z, stage of development at signing, therapeutic area and industry type. Each deal title links via hyperlink to an online version of the deal record including, where available, the actual contract document. The report also includes numerous table and figures that illustrate the trends and activities in Asset Purchase dealmaking since 2014. In conclusion, this report provides everything a prospective dealmaker needs to know about Asset Purchase alliances. Global Asset Purchase Deals in Pharma, Biotech and Diagnostics 2014-2019 is intended to provide the reader with an in-depth understanding of the asset purchase trends and structure of deals entered into by leading biopharma companies worldwide. An additional $500 per copy will be added for CD-ROM.